Tiffany Newborn Photo Shoot JAX photographer - Newborn Photography | Schedule Your Newborn Shoot Today! 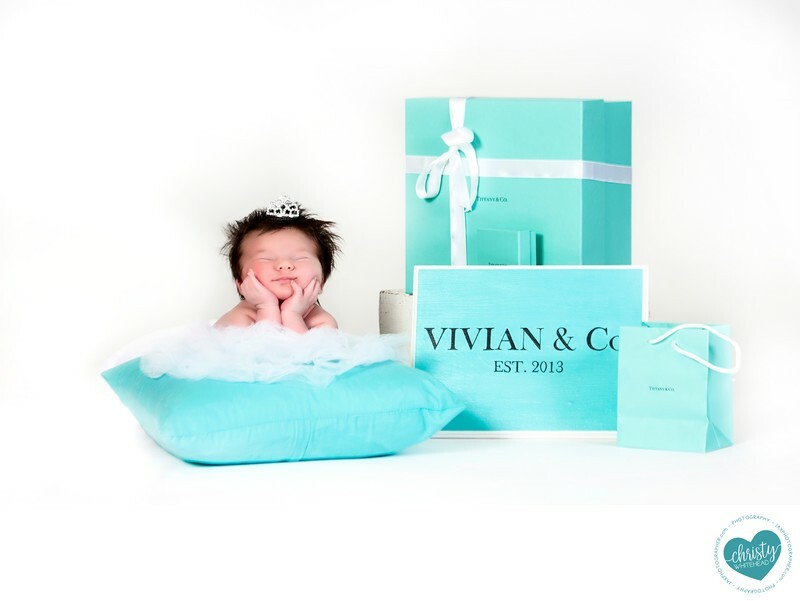 They wanted a Tiffany theme and brought the sign and boxes. This is a composite, 3 images to make. Love all that hair! Newborn photography in Jacksonville, Florida.